These mounts are perfect for those wanting to keep their step ladder safe and secure whilst minimising on use of storage capacity. Specifically designed to securley hold a Step Ladder flat against the rear of the cabinets, it’s a perfect solution for those wanting to save on space whilst retaining security of their equipment. 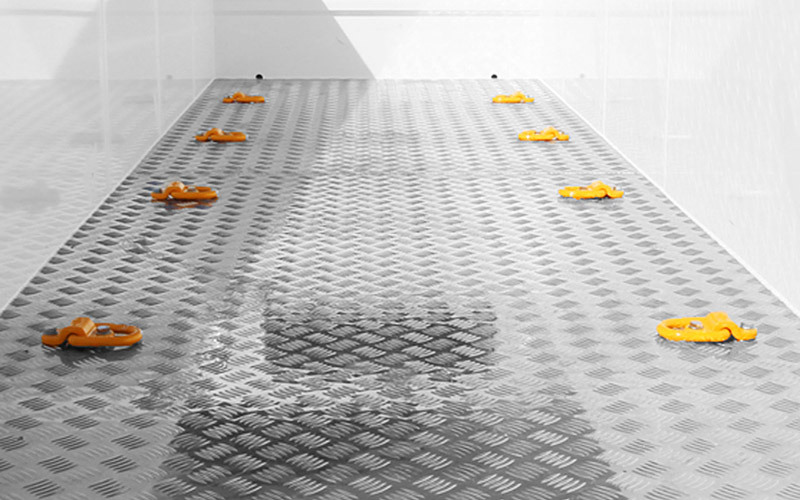 If you don’t have them already, and you need to secure your load from moving around in the Centre Aisle, then be sure to order some Heavy Duty Floor mounted Tie Down Rings for your Service Body. Supplied in a Set of 8, and rated to 1 tonne. 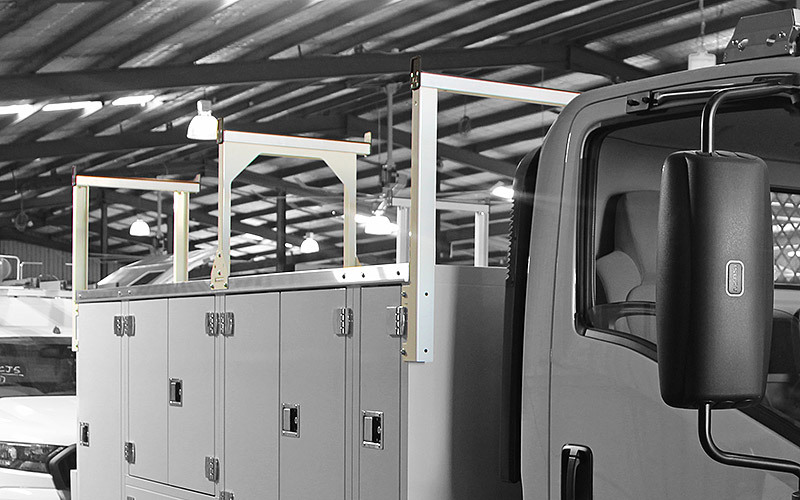 You can opt to have some High Mount Load rails fitted to your service body. Whether this be used for the fitting of Ladder Racks, PVC Piping or other equipment. 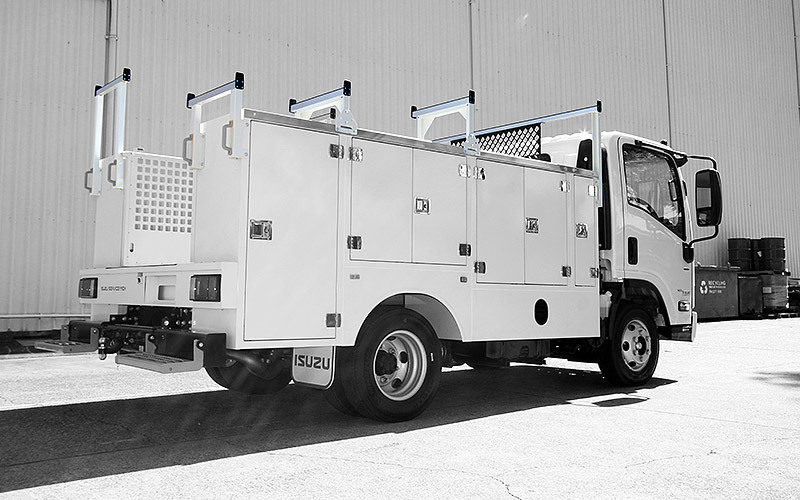 You can be sure that when using equipment such as Long Extension ladders that run longer than the length of your Service Body, you will now have the clearance to go over the vehicle cab where needed. 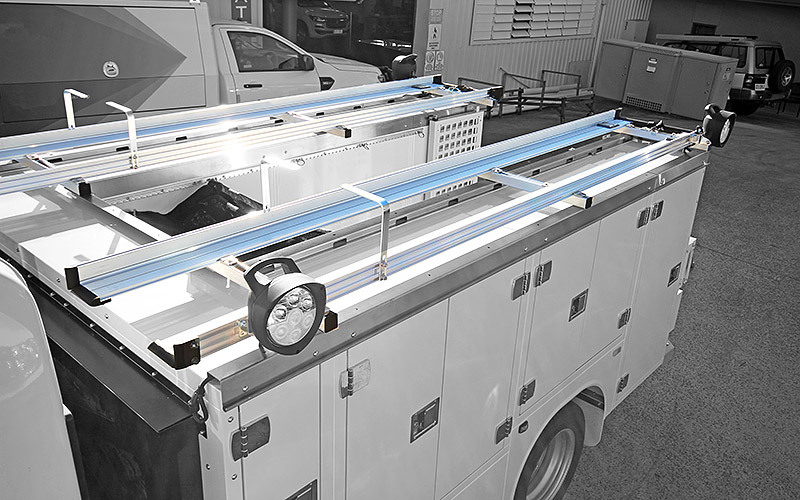 High Mount Load rails are also beneficial for those who want both Ladders and Conduit Piping fixed on the same side of the service body making full use of available space. Whether you’re an electrician, plumber, builder or a handyman – you’ll need a ladder rack to carry your ladder. The Extension Ladder Racks and Step Ladder Racks are fully OH&S compliant, rigorously crash tested ladder rack systems. 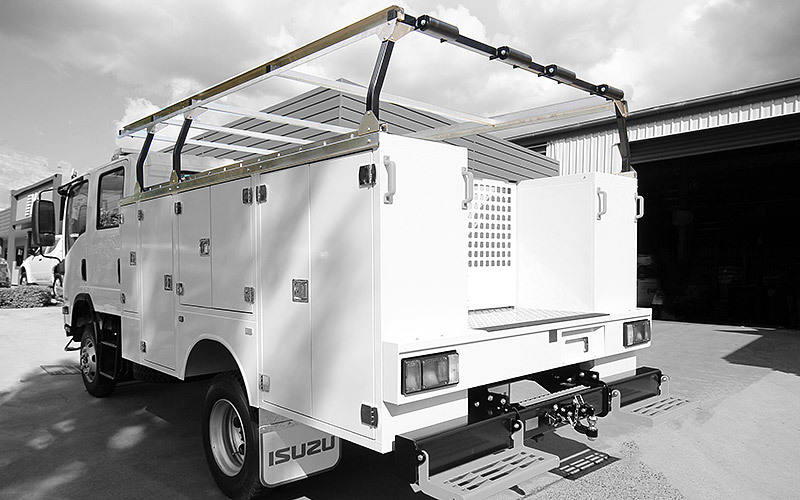 Featuring rear rollers that will allow you to effortlessly load and unload your ladders. To ensure SBA cover every option required by our end users, it would be a shame to miss out and not tell you about our Sloping Load Rails. 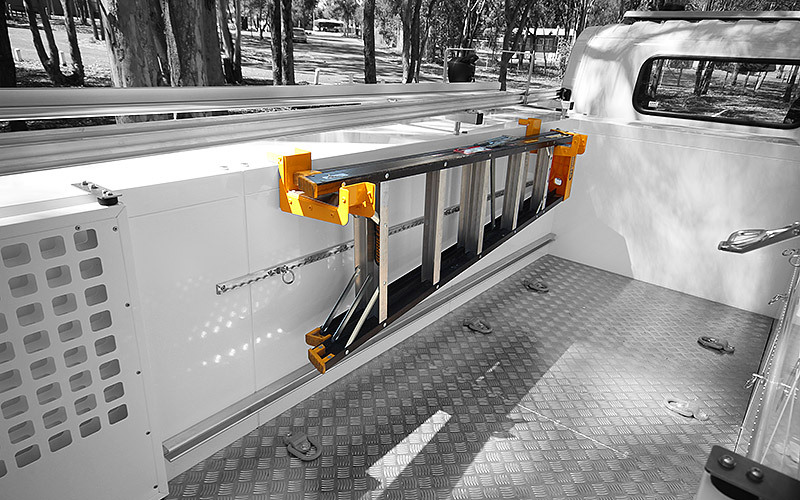 Starting its highest point at the cab and the remaining load rails lower in height gradually towards the back of the Service Body to give you that sloping load giving you an alternative way to load/unload your equipment. If you have the need for switching between what you might have to be carrying on a day to day basis and feel restricted in what equipment you can carry, then maybe one of our Loadmaster Utility Racks is the answer for you. You can carry more than just ladders or conduit pipes on this rack! Giving your Service Body more versatility in the jobs that you can do.